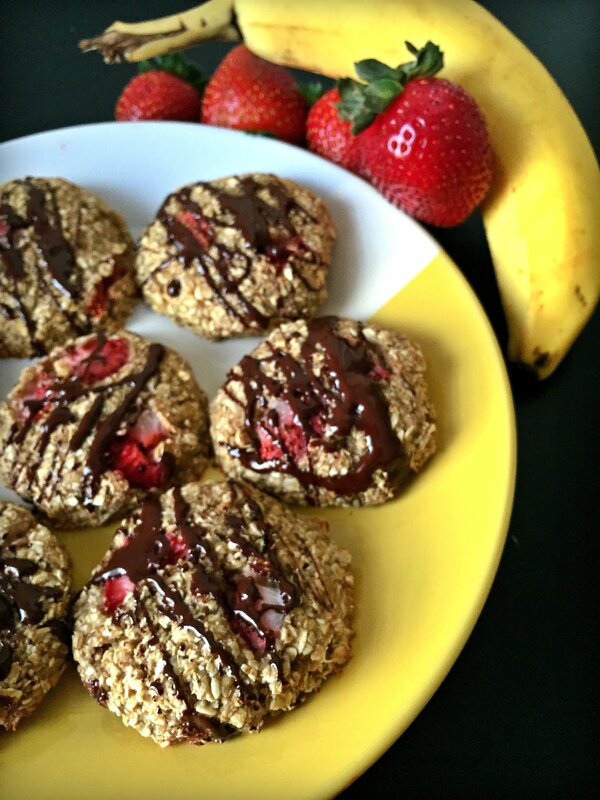 I love making a batch of these cookies as part of a quick breakfast on the go. Since they are mostly carbohydrates, pair them with a some protein and fat to make a balanced meal and stabilize your blood sugar. Place oats, oat bran, bananas, and vanilla extract in a large bowl and stir until combined. Form batter into 10 cookies and place on a silicone baking sheet or a cookie sheet liberally sprayed with cooking spray. Bake for 13-15 minutes. While cookies are baking melt chocolate if using. Remove cookies from the oven and drizzle with chocolate. Allow to cool. Store in an airtight container for up to 2-3 days.